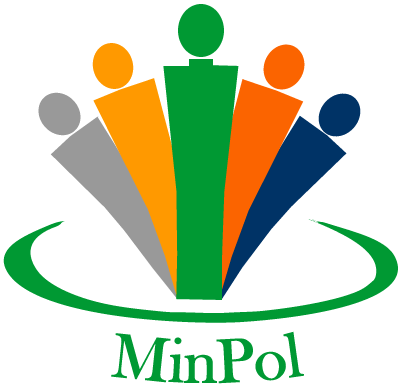 MinPol is an internationally operating network consisting of experts for every related branch in the field of minerals policy. The MinPol-team has longstanding experience in the field of international minerals policy and delivers scientific expertise at national and international level. The MinPol-team consists of experts for every topic relevant to minerals policy. Together we develop scientific reports, recommendations, position papers or even entire projects (from the analysis of available resources to consumption scenarios in the future). This allows us to provide maximum support to our clients in terms of international minerals policy, mining and environmental engineering, geology and IT. MinPol is Minatura Project Coordinator. Voluntary organisation composed of individual professional geologists and engineers nominated by its parent organisations: the European Federation of Geologists (Belgium), the Institute of Materials Minerals and Mining (UK), the Geological Society of London (UK), and the Institute of Geologists of Ireland (Republic of Ireland). The primary purpose of PERC is the establishment, maintenance, and promotion of standards for public reporting of mineral resources and reserves. PERC is the National Reporting Organisation for Europe within the Committee for Mineral Reserves International Reporting Standards (CRIRSCO, www.crirsco.com). Within CRIRSCO, PERC has taken the lead on mapping the CRIRSCO template to the Russian system for solid mineral reserves and resources reporting (still in common use in Member States in the east of Europe) and authoring a conversion guide. PERC members, with others from CRIRSCO, also have significant experience working with UNECE on the development and benchmarking of the UN Framework Classification for solid minerals and have been responsible for ensuring that the CRIRSCO definitions relating to solid minerals with reasonable prospects of economic recovery (required by stock market regulators) are aligned with the equivalent categories within the UNFC (which also includes prospective deposits). PERC therefore has wide experience of existing models and standards for all kinds of public and governmental reporting of solid mineral reserves and resources and to assist in the development of consistent data gathering. IMA-Europe is an umbrella organization, counting to date ten European associations specific to individual minerals and representing the producers of calcium carbonate (GCC, PCC), dolomite (CCA-Europe), bentonite (EUBA), lime (EuLA), borates (EBA), kaolin & plastic clays (KPCEurope), feldspar (EUROFEL), industrial silica (EUROSIL); talc (EUROTALC), diatomite (IDPA), sepiolite, vermiculite, mica, andalusite and wollastonite (ESMA). 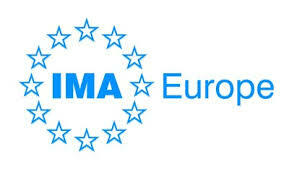 IMA-Europe’s current membership is drawn from about 500 companies or groups, employing around 42.000 people and producing 120 million tons/year of industrial minerals for a value exceeding EUR 10 billion in 24 EU Member States, Norway, Switzerland, Turkey and Ukraine. In each of its member associations, IMA-Europe counts the main EU producers of industrial minerals. IMA-Europe is an active member of the Raw Materials Supply Group (a stakeholder group formed by industry, environmental NGOs, trade unions, Member States, candidate countries and the Commission). IMA-Europe has contributed to the development of DG ENTR Sustainable Development Indicators, DG ENVI Natura2000 Guidelines for the Non Energy Extractive Industry Panel (NEEIP), is actively involved in the deployment of the Raw Materials Initiative, and participates in the ad-hoc WG on Criticality and Land-Use planning. IMA-Europe has a seat in the High Level Steering Group (Jean-Luc Deleersnyder, Sibelco CEO) – and consequently in the Sherpa Group – of the European Innovation Partnership on Raw Materials (EIP on RM) and intensively contributed to the drafting of the Strategic Implementation Plan (SIP). IMA-Europe is also a member of the European Business and Biodiversity (B@B) Platform and has developed its sector biodiversity case study database. The European Federation of Geologists (EFG) is a not-for-profit professional geoscience organisation focused on the promotion of excellence in the application of geology, in raising public awareness of the importance of geosciences for society and in the setting and international benchmarking of professional standards and qualifications for geoscientists. 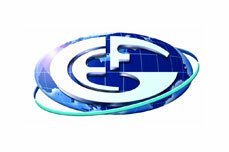 EFG is based in Brussels, was established in 1981 and includes today 24 national association members. Professional geologists, from the EFG national association members, contribute their expertise in education, research and applied practice in industry and for governments in a wide range of activities that are vital to society and to protection of the public. EFG has strong and longstanding international relationships with other professional geoscience and related organisations. Geological Survey of Montenegro (GSM) is an independent state institution and represents the most prominent company in the field of geology in Montenegro for the past sixty-five years. It is organized in four departments whose activities include performance of geological research in the area of fundamental and applied research. GSM’s Program of works includes projects, studies and issues of State interest in the field of: Basic geological research, Basic and detailed geological research of mineral resources outside the exploitation sites, Compiling complex geological maps and databases and studies for giving particular mineral resources concessions, geoecological research, publishing activities and development projects. The Ministry has three departments: Department of Industry, Energy and Mining, Department of Entrepreneurship, Crafts and Development and Department of Traffic, Trade, Tourism, and Catering. The Ministry’s jurisdiction is defined by the areas covered within these departments: industry, energy, mining, etc. Mineral and Energy Economy Research Institute of the Polish Academy of Sciences (MEERI PAS) was formed in 1985 in Kraków, Poland. It carries complex interdisciplinary research on mineral raw materials and energy, e.g. in the areas of minerals management, mining and applied geology, energetics, environmental engineering, mineral processing. The main areas of detailed research are rational management and use of mineral deposits, optimization of minerals and mineral wastes management, minerals and mineral wastes processing technologies, research of minerals and fuels markets, economics of minerals and fuels. MEERI PAS has 107 employees, including 7 professors, 14 assistant professors, 27 doctors, and 15 scientific assistants. It is divided into 4 Departments and 13 Divisions (e.g. Divisions of Mineral Policy, of Economic Geology, of Mineral Commodities Production). In the last 5 years MEERI PAS was involved in 16 European research projects, 9 domestic research projects, as well as ca. 300 works and expertizes for domestic Ministries, Provincial Offices, mineral companies and others. UCL Institute for Sustainable Resources (UCL ISR) was established as an academic department at University College London in 2011. It is a cross disciplinary institute led by Paul Ekins and set up to carry out research, teaching and enterprise work in the research themes of sustainable use of resources and the environment and to bring together capabilities from across UCL. ISR runs a number of research projects on indicators (e.g. EMInInn) and the green economy (e.g. POLFREE), and a series of seminars and high-level symposia (e.g. on the legal dimension of raw materials). It has set up a PhD programme with 20 students from all over the world, and it collaborates with a number of businesses. 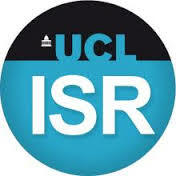 UCL ISR is part of University College London, which is regularly listed as among the top ten universities globally. Very soon after its establishment in 2011, it is on track to become one of the world’s leading research centres in sustainable resource use. The La Palma Research Centre S.L. 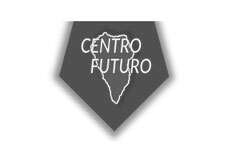 is an independent, internationally active geoscience think-tank headquartered in Spain. LPRC works in the intersection of minerals, ICT and public awareness raising related to geosciences. With the help of technology foresights, the Centre assesses the long-term future of converging technologies with the aim to identify the emerging innovations that are likely to produce the greatest economic and social benefits. University College Cork (UCC)’s is internationally acclaimed as one of the top 2% of research institutions in the world. UCC’s input to MINATURA2020 will come from the Coastal and Marine Research Centre (CMRC) and the School of Biological, Earth & Environmental Sciences (BEES). The School engages in society-led and pure research with strong links with industry and society through innovative research and strategies for technology transfer and commercialisation of research. The CMRC is a research centre dedicated to ocean and coastal research and resource studies. The Centre forms an integral part of the Environmental Research Institute (ERI) in University College Cork. Research in the CMRC is undertaken through a multi-disciplinary approach, whereby researchers with a range of specialist backgrounds including biologists, computer scientists, hydrographers, geographers and engineers, work collaboratively in a project-orientated environment. Alterra is a leading research institute for our green living environment. It offers a combination of practical, innovative and interdisciplinary scientific research across many disciplines related to the green world around us and the sustainable use of our living environment. Aspects of our green environment that Alterra focuses on include flora and fauna, soil, water, climate, vegetation, land cover and land use, the use of geo-information and remote sensing, landscape and spatial planning, forestry, recreation and its governance. Iskriva, Institute for Development of Local Potentials, is a private non-profit organisation whose principal focus is promoting and facilitating cooperation, and knowledge and stakeholder dialogue with a view to a more sound use of natural and human resources for the purpose of sustainable development. This is achieved with capacity building, training and developing our own projects and initiatives. We focus on the socio-economic aspects of natural resource management. Our main activities include planning and facilitating stakeholder dialogue processes, economic valuation of ecosystem services, supporting cross-sectoral cooperation and networking, management of cooperation projects, innovative business modelling and general awareness-raising with respect to the importance of sustainable development. We are active in the countries of South, South East and Central Europe where we have an extensive network of partners active in environmental topics, including national and regional authorities, international organisations, NGOs, private partners, etc. Experts from the Iskriva Institute participated in the implementation of two MINATURA2020-related projects – Sustainable Aggregates Resource Management (SARMa) and Sustainable Aggregates Planning in South East Europe (SNAP SEE) – focusing on transnational aspects of the two projects and challenges related to stakeholder involvement. On the other hand the Institute’s experts have extensive experience from the NATURA 2000 projects in which we implemented the principles of stakeholder involvement and sustainable development. Geological and Geophysical Institute of Hungary (MFGI) with 160 employees operates as a public research institute. MFGI was established in 2012 through the merger of two internationally well-known institutions, namely the former Hungarian Geological Institute (est. in 1869) and the former Eötvös Loránd Geophysical Institute (est. in 1907). The institutional reorganisation is supposed to enhance the efficiency of the implementation of all activities falling within the competences of the newly established Geological and Geophysical Institute of Hungary considerably, with special regard to its key activities in the field of geology, geophysics, mining and climate policy. The former Hungarian State Geological Institute has a long-standing experience in several regulatory and policy areas that could be directly relevant for the project, such as acting as a state mining and geological authority, carrying out state geological exploration tasks, issuing geological expert licences, managing the register of geopolitical experts, keeping the record of national mineral raw materials, and data collection, processing and management of the national geothermic energy reserve. Furthermore, the Institute has also been responsible for managing the Hungarian Geological, Geophysical and Mining Database, the State Mineral Reserve Registry, and the Geological and Mining Information System for a very long time. The Institute is a central public budgetary authority operating independently. With the institutional reorganisation and merger of the two institutes concerned, a brand new department, namely the National Adaptation Centre (NAC) was also set up within the Geological and Geophysical Institute of Hungary, as a key pillar of the institutional setup. University of Bucharest (UB) is a leading academic centre and a significant point of reference in society, and it adheres to the principles of academic integrity and critical thinking. It is one the leading higher education institutions in Romania and South-East Europe by actively contributing through research and teaching to the development and use of knowledge. The Faculty of Geology and Geophysics, the only one of its kind in Romania, originates in three faculties with a geology and geophysics profile established in 1948. Today, it continues the traditions of Romanian geology at a high scientific and educational standard, through permanent modernization and updating. 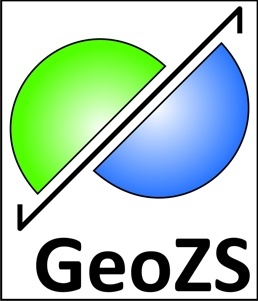 Geological Survey of Slovenia (GeoZS) is a public research institute with 90 employees established by the Government of the Republic of Slovenia. Scientists, researchers, technicians and project managers, among them 64% with high education, contribute to production of geological maps, assessment of natural and anthropogenic geological hazards to living environments, expertise in fields of groundwater, mineral resources, geothermal energy resources and natural geological heritage. All activities are supported by the Geological Information Centre, responsible for collection, processing, storage and dissemination of geological data within the frame of a single information system. Data is presented in printed and digital form and stored in archives with a modern information system, with close to 40.000 expert reports and research projects. GeoZS also performs geological supervision and prepares plan documents for different government agencies. The Fundação da Faculdade de Ciências da Universidade de Lisboa (FFCUL) is a non-profit organisation, recently reclassified as a public institution. 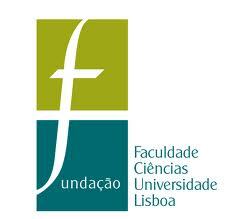 FFCUL was created in 1993 as an initiative of the Faculdade de Ciências da Universidade de Lisboa (FCUL) to promote and facilitate scientific research, technology and development services to society, as well as to consolidate qualified human resources training, consulting expertise and knowledge dissemination. FFCUL acts as the legal front institution of multiple research units, from different scientific fields, carrying out research work and managing financial and administratively R&D projects. Currently, FFCUL manages over 400 projects and implements a professional (and constantly audited) management of around 30 research units. Many of these R&D activities are developed together with international teams and are funded both at National and European levels. At European level, FFCUL has the experience of managing circa one hundred EU FP6 and FP7 projects. The Direção Geral de Geologia e Energia (DGEG), a governmental body, referred to as the Portuguese Mining Authority, whose mission is to contribute to the design, promotion and evaluation of geological resources and energy policies in a perspective of sustainable development and ensuring the security of supply (represented by Paula Castanheira Dinis). Institute for Spatial planing of Koprivnica Križevci County is a regional public institution for spatial planning and development. Institute was established in 1994 as one of the offices in Koprivnica Križevci County. Since 2008, it has been operating as a public institution and has 9 employees. Institute prepares and monitors the implementation of spatial planning documents. Other main activities are territorial monitoring of the situation in the area; developing of land use base; GIS database development; Drawing up of the spatial plan for the County, spatial plans for the municipalities and urban development plans. State Geological Institute of Dionýz Štúr, subordinated to the Ministry of Environment of Slovak Republic is a contributory organization which provides geological research and exploration at the territory of the Slovak Republic (basic geology, hydrogeology and geothermal energy, engineering geology, economic geology, geochemistry and geophysics, geofactors of environment, geoheritage), creation of information system in geology as a component of the nation-wide information system, registration and evidence activities related to geological works performance, collecting, evidence and making available the geological works results carried out at the territory of the Slovak Republic, Central Geological Library performance, issuing and purchase of maps and professional geological publications. The research at Luleå University of Technology (LTU) is organized in strong interdisciplinary research areas and in close cooperation with industry and society. Our main focus is applied research. LTU research is characterized by the ability to combine engineering science with the humanities, arts, social sciences and natural sciences. It gives us perspective and new approaches to current research. Our cooperation with universities, companies, public sector and organizations regionally, nationally and internationally means that research at LTU is at the forefront. LTU is Sweden’s centre for research and education which focuses on mining, and the clearly stated ambition is to be an internationally strong centre of excellence. The research covers the whole spectrum, from prospecting via mining and processing to metallurgy and environmental issues as well as research on occupational health and safety, the commodity economy and the societal aspects of extraction and processing. DTV PO is a not-for-profit professional association (NGO) with participation of most of Slovenian Mining right Holders. Geological Institute of Romania (GIR) was created in 1906 with the mission and activities of a geological survey. Now it is a state-owned research institute involved in activities regarding mineral resources (geological conditions, chemistry, environmental impact of mining), hydrocarbon resources, geophysics, hydrogeology, geochemistry, environmental protection, geohazard, geological mapping. IGR has been participating in many EU-funded projects regarding data for mineral exploration and environmental applications, financed by UNDP, Phare, EC (FP7, CIP). The UB-FMG is the leading institution in Serbia for education and scientific research in the fields of exploration and mining of natural mineral resources. Different branches of the UB-FMG have so far participated in many international (including FP7), bilateral and/or national projects, which were dealing with various individual aspects of the entire mining life cycle and related topics. This, among other aspects, comprises the projects focused on pre-exploration geological investigations, pre-feasibility and feasibility studies for mine opening, water and energy management studies as well as various environmental analyses. In addition, the UB-FMG has been continuously performing important services for the Serbian Government, and one of the latest was Strategy for energetic development of Serbia until 2020. This and many other medium to small-scale activities demonstrate that the UB-FMG has proven capacity and great authority in the research field that is in focus of this proposal. Mineral & Resource Planning Associates Ltd. is an independent mineral development and mineral planning consultancy located in the UK. The client base includes: the extractive minerals industry; the mineral process industry; the UK Government and agencies; planning and regulatory agencies; investment businesses; environmental pressure groups; and individuals. This work is mainly within the UK but has included research/projects in parts of Europe, North America and elsewhere. The consultancy has provided the British Geological Survey (BGS) with advice on mineral planning and development matters for a number of projects. Key expertise of the consultancy includes: The identification, evaluation and negotiation of rights for mineral resources; The preparation of, and advice in relation to, national and local planning policy; The submission of applications or permits for regulatory approval, including ES; The independent critique of mineral resource evaluations, policy, applications or permits; The preparation of evidence and appearance as an Expert Witness in legal proceedings on such matters. 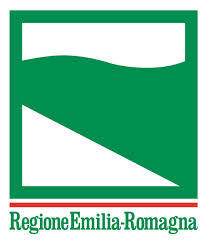 Emilia-Romagna Region, together with the National Authorities, has a general territorial and institutional competence on environment management and on soil and coast defense, and it exerts this competence through the Directorate General for Environment, Soil and Coast Protection (DG). Some of the specific competences of the DG are: water protection, soil and coast defense, Integrated Coastal Zone Management (ICZM), waste management, sustainable development, biodiversity, parks and protected areas, air quality and climate change, mining plans and mineral water source management. ERR has also a specific working-group on international cooperation projects focused on environmental themes in particular on sustainable management of resources, raw material sustainable supply and quarries restoration. ERR has long experience in international and cross-border cooperation in particular in territorial cooperation programmes (past Interreg A,B,C and current cross-border, transnational and interregional cooperation), INTERACT and IPA Programmes. ERR has participated in 34 projects as Lead partner and in more than 100 projects as project partner. The DG has been involved in several EU projects, which of SARMA and SNAP-SEE are the most relevant on this field.